for $590,000 with 6 bedrooms and 2 full baths, 1 half bath. 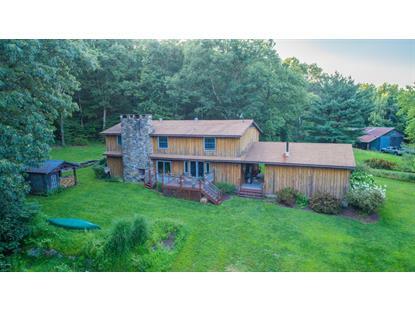 This 3,865 square foot home was built in 1970 on a lot size of 12.95 Acre(s). Shawnee Mt.! Ski season is here and this ''Lodge'' with Guest Cottage on 12.95 acres is located right between the ski area and the National Park! With 6 Bedrooms and an open floor plan the 3800 sq.ft. Main House can accommodate a crowd. The Gourmet Kitchen is open to huge Dining and Living area highlighted by a beamed ceiling and stone fireplace. The Guest cottage, 3 Barns and acreage is a bonus! Just minutes from I-80 and the Delaware Water Gap Bridge and nestled above the Village of Shawnee on the Delaware. This is a year round recreational paradise! 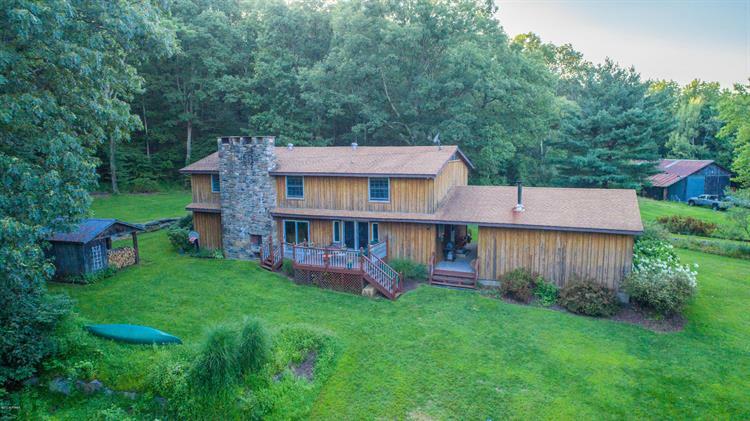 Ski, hike, bike, golf, fish, and hunt all close to fine dining, shopping, the Shawnee Playhouse, and casinos. Located on a quiet road yet easily accessible. Use the Cottage for a caretaker or the cottage and barns for rental income.